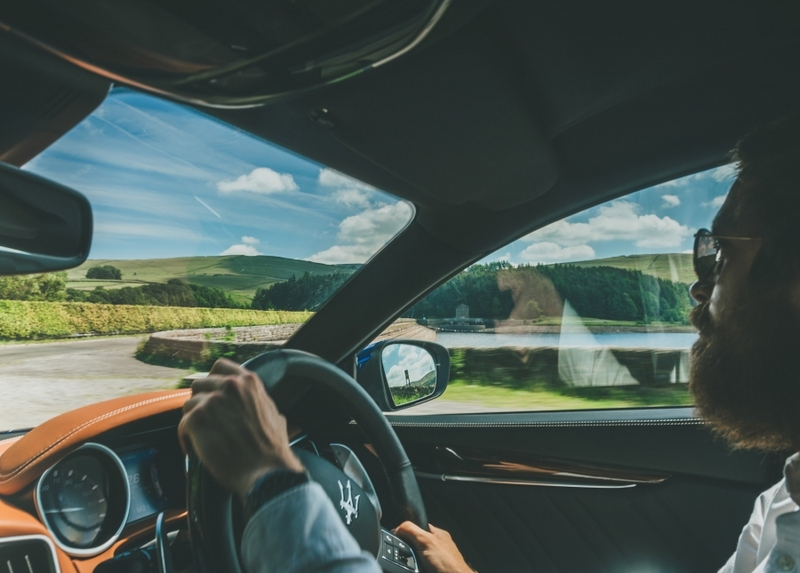 The sun is blazing down through a magnificent topaz blue sky and, through the windscreen of the Maserati Ghibli S, I’m treated to an unblemished view over Fernilee Resevoir and the surrounding Goyt Valley. Having never been to the Peak District on a dry day – let alone a sunny one – this is pretty much perfect. We don’t often go road tripping in the UK (the oft inclement weather regularly makes more exotic climes more appealing) but, today, I wouldn’t want to be anywhere else. I doubt the cyclist going the other way feels quite the same way though. While I’m spoilt by a particularly bucolic vista, he’s faced with a wall of tarmac rising towards an elevated horizon. With an ambient temperature of 31 degrees (today, the Peak District is hotter than the French Riviera) conditions are tortuous for the reams of riders snaking across the regions roads. And then there’s the 17 per cent gradient this poor chap is currently climbing. I can’t help but feel a pang of guilt as a gaze comfortably through the side window, studying his face as it contorts with each strained breath. A plentiful supply of Jimmy’s Iced Coffee has helped counter my 4am alarm call and the vented seats of this particularly well-appointed Ghibli S are helping to keep us perfectly chilled. Then I remember that tomorrow it’ll be me riding in the insufferable heat (wearing a classic wool jersey, no less) as part of the incredibly eclectic Eroica Britannia festival. Today, however, I’m content with our less laborious (and considerably more luxurious) transportation. After cruising serenely northwards from Flat-Out’s south coast HQ in the early hours of the morning, the mid-size Mazzer has already proved itself as one of the finest tourers around. 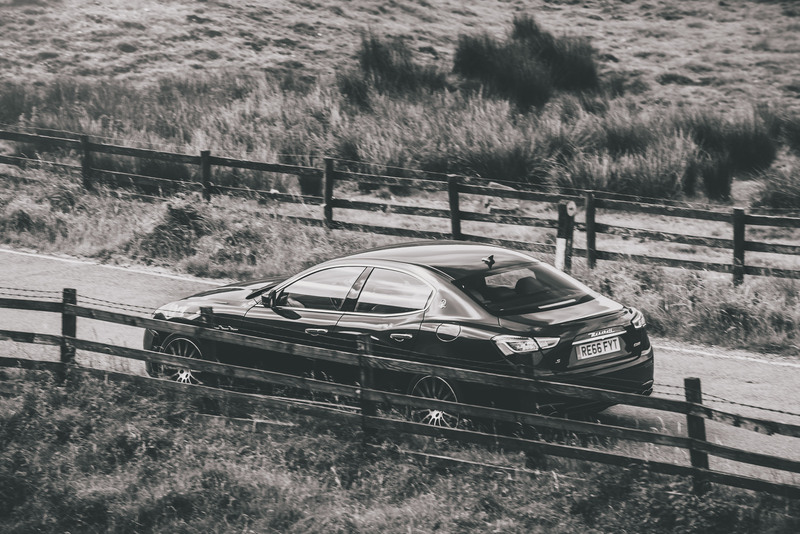 Stylish, supremely comfortable and swift, there are few better ways of munching through motorway miles. 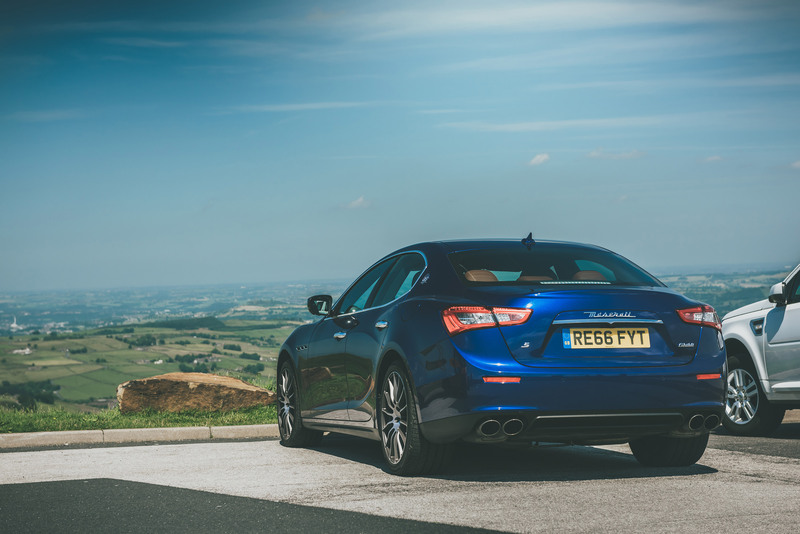 Untethered from the tedium of the M1, the Ghibli S now has to blend its impressive refinement with an appetite for tackling the endless ribbons of tarmac that meander their way across the Peak District. 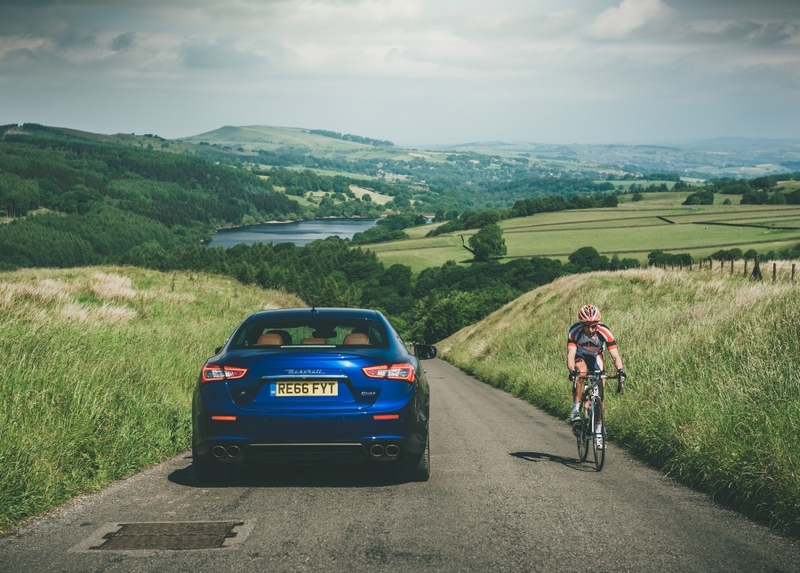 Combined with the constant rise-and-fall of the region’s topography – and vistas like the one that greets us as we crest the Goyt Valley – it’s not hard to see why the Peaks is something of a mecca for cyclists and drivers looking to push their machines (and themselves) to the limit. Maserati’s smaller saloon will certainly be tested today, especially as it sits somewhere between BMW’s 5 and 7 Series in terms of size. The low roofline may give the Ghibli a sleek stance but it’s hard to ignore the fact this is still a very long, very wide car, especially on Derbyshire lanes lined with unforgiving dry stone walls. The first few miles of Goyt’s Pass have proved this. Before the descent down to Errwood Resevoir, the road twists and turns its way over the head of the valley, bucking this way and that with very little margin for error. With the adjustable dampers in their standard setting, the Ghibli soaks up the imperfections well though, never feeling fidgety or nervous (despite the road’s best attempts). There is a fair degree of body roll (reminding me that this is a 1,810kg saloon not an all-out, featherweight sports car) but the initial dynamic signs are promising, especially with our tour of the Peaks set to take in some smoother, wider, more Maserati-friendly passes this afternoon. 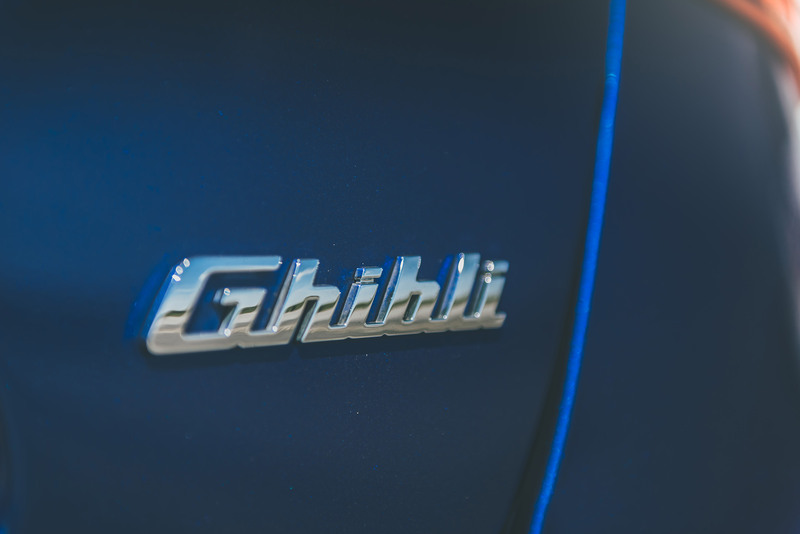 Right now though, we’re at the water’s edge, taking a moment to soak up the sunshine and study the Ghibli’s beautifully styled interior. 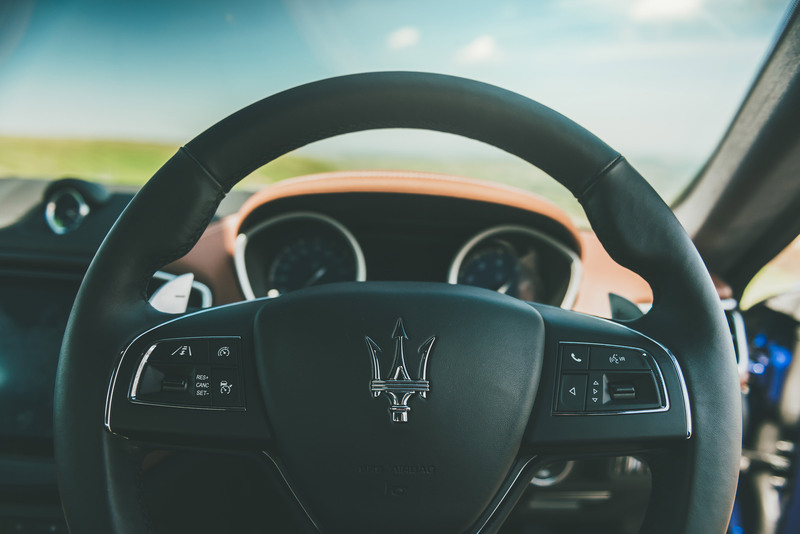 Like the body, the dashboard has an elegant minimalism to it, thanks in part to the huge 8.4-inch ‘Maserati Touch Control’ infotainment system. Replacing the myriad buttons that blight many car interiors, the Italian manufacturer’s touchscreen does a great job at cleaning up the centre console, yet it’s not just a pretty face. 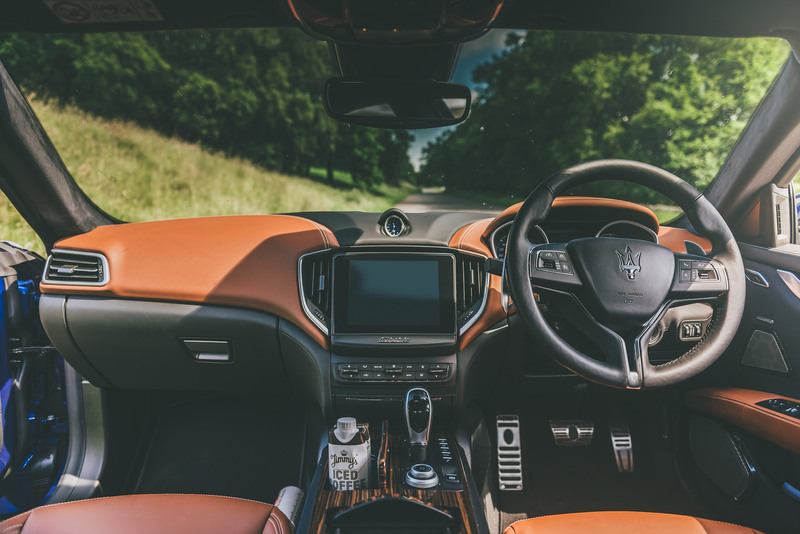 While the screen isn’t quite as responsive as similar systems from Maserati’s German rivals, the breadth of information it can relay, functions it can control and clarity with which it does everything means that, overall, it is among the best infotainment systems around. The polished wood inserts (including on the inner rim of the steering wheel) have an almost Rolls-Royce quality to them. 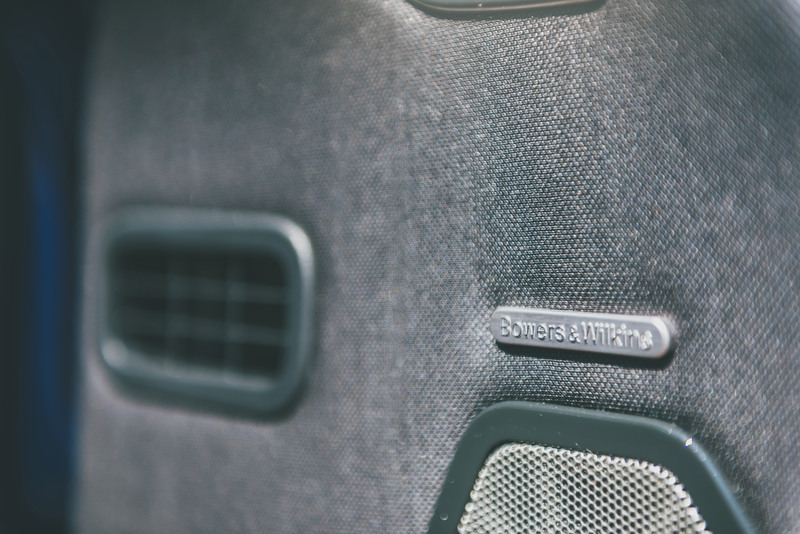 However, the real pièce de résistance is the optional Ermenegildo Zegna interior pack, which sees the seats, roof and even the sun visors trimmed with natural silk from the famous fashion house’s range of haute couture fabrics. 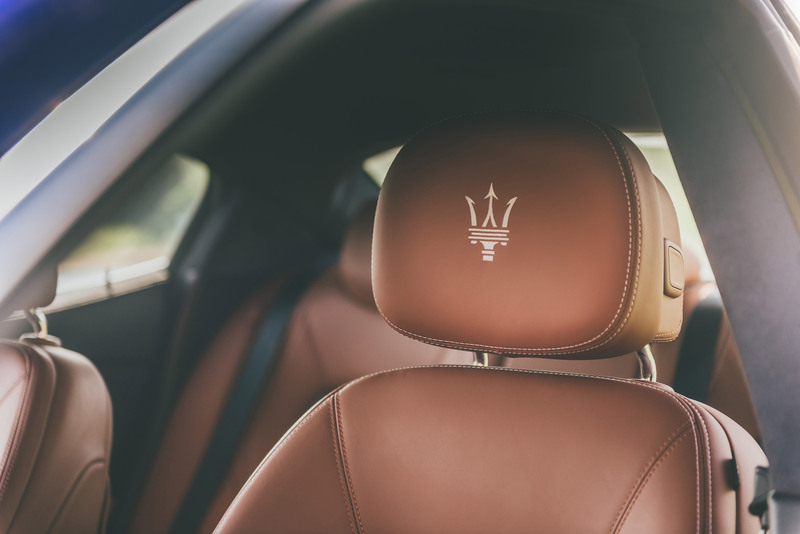 Combined with the lavish naturally-hued leather, the interior feels like the automotive equivalent to a fine Milanese suit. 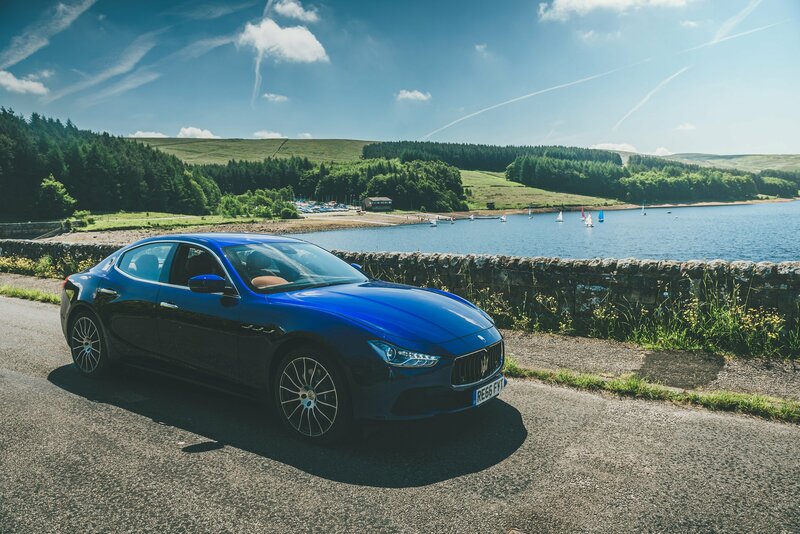 While not wasted, enough time has now been spent relaxing at the side of the reservoir, studying the Maserati’s finer details and watching the local sailing club’s exploits out on the water. 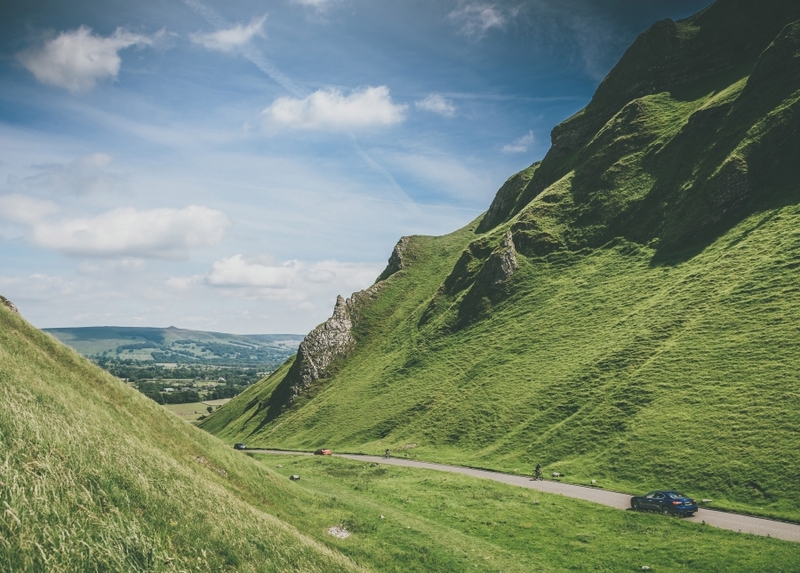 We still have three more Peak District passes to visit on our road trip, each one taking us further and further north into the national park; we need to make a move. Based on the south-eastern edge of the Peak District, The Peacock is a cosy country hotel, decked out with decadently classic décor. Don’t worry though, there isn’t a hint of pastiche to its retro stylings. The ‘olde worlde’ aesthetic actually feels genuine, even when combined with a splash of boutique luxury. Originally a manor house in the 17th Century, The Peacock features fifteen bedrooms, the majority of which provide ample space and a king-size bed on which to rest your weary body after a hard day of walking, cycling or driving. If you want to indulge your tastebuds, the hotel’s in-house restaurant has garnered three AA red rosettes for its award-winning fine dining. Using a host of local ingredients, the kitchen offers a relaxed bar menu as well as a seasonal al la carte menu, created by head chef, Dan Smith. Oh, and if you want to bring your canine companion to the Peaks for a spot of walking, The Peacock is dog friendly too. The Ferrari-built 3.0-litre, twin turbo V6 snarls back into life and, with a liberal prod of throttle, leaves its soundtrack ringing in the nearby trees as we speed away from the Goyt Valley in the direction of Buxton and Mam Tor, the next test for the Maserati Ghibli S.
As we pick up the A5004 towards the famous spa town, we latch onto the tail of a Porsche 991 Carrera 4, shadowing the iconic German sports car through the gentle sweeps with ease. 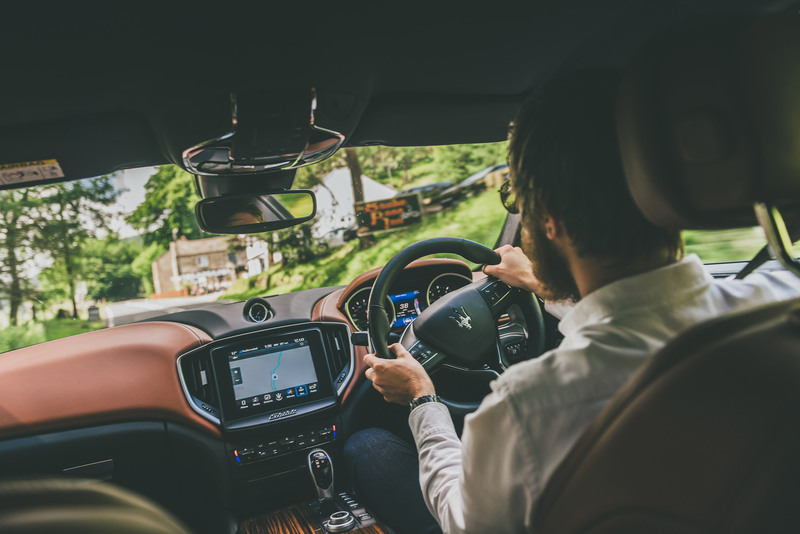 Having to accelerate nearly two tonnes of Italian coachwork, the engine initially feels a little muted but, as the two turbochargers spool up, there’s sudden surge of thrust as the torque curves ramps up and fires the Ghibli down the road with ever greater velocity. The 0-62mph time is ‘only’ 5.0 seconds however, once up to speed, the mid-range punch is enough to shove me back into the silk-and-leather driver’s seat. The Porsche may be a little bit sprightlier yet, wringing the V6 to its redline (with wonderfully sonorous results), the 911 can’t escape our gaze. Through Buxton, the big surprise is that, among the hustle, bustle and bunting of the weekly market, the Italian sports saloon passes through almost unnoticed. As the bright white 911 attracts a number of glances from pedestrians and other motorists, the Mazzer seemingly glides under the radar. In a weird way, that’s one of the joys of ‘Il Tridente’; you have to know what you’re looking for to truly appreciate it. 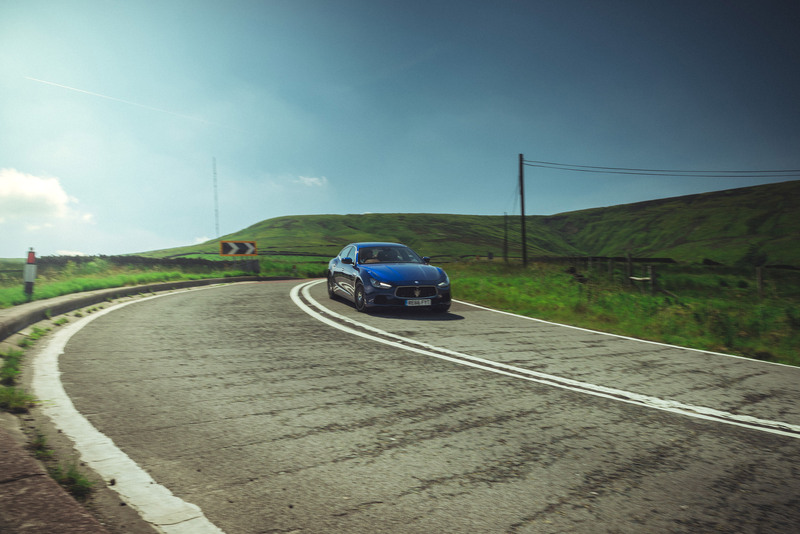 We follow the Porsche all the way to the Mam Tor turning where we divert up a narrow, rutted incline to the summit of the famous hilltop, the Ghibli’s girth leaving just enough space to pass a group of cyclists battling their way to the top. While we’ve approached from the south, the pass is best driven from the other direction so, having deposited ace snapper, David Rutter at the peak, I set off down the other side towards Barber Booth in search of somewhere to turn around. The seven-mile stretch of Edale Road – culminating at Hope – is worth driving in its entirety however, today, I’m purely focussed on the hairpins at the Mam Tor end. After all, with a 410hp, rear-wheel drive Maserati at my disposal, it’d be rude not to, right? There are more cyclists tackling the ascent from the northern approach and, as was the case at Goyt, the pain of the incline is etched into their faces. Despite this, as I pause to turn around at the base of the climb, a couple have enough breath to complement the car and offer a trade of transportation. No chance. 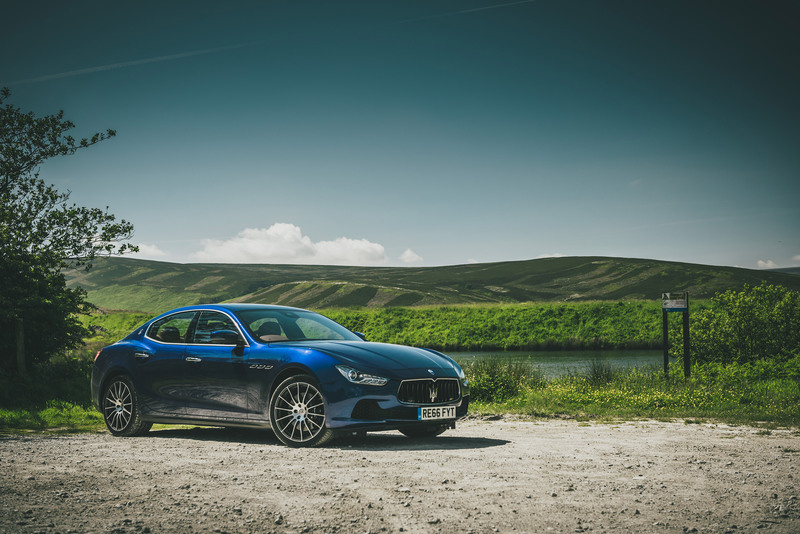 Even with some Maranello-built firepower under the long, sloping bonnet, the Ghibli S has to work hard against a gradient that peaks at over 20 per cent (and never really drops below double figures). For me though, as I lock the gearbox into manual mode with a prod of the centre console button, it’s another chance to let the analogue rev counter sprint through the entirety of its arc. 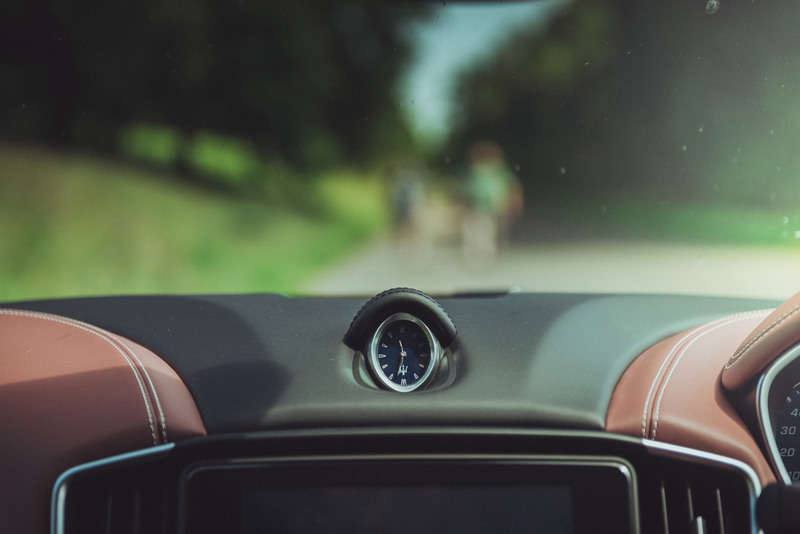 With each upshift, there’s a potent snuffle from the four tailpipes as a little bit of unburnt fuel ignites, providing an extra dose of Italian flair to the engine’s audio experience. Inside, the levels of sound proofing actual prevents the powerplant’s full vocal theatrics from being heard, which is a shame as it emits a genuinely glorious sound (despite the natural muffling effect of the two turbos). However, lower the windows slightly and the V6 can be heard growling angrily, much to the glee of my currently-hidden photographer, David. This time, I switch the Ghibli into sports mode, firming up the dampers, sharpening the throttle and improving the response of the old school automatic gearbox. 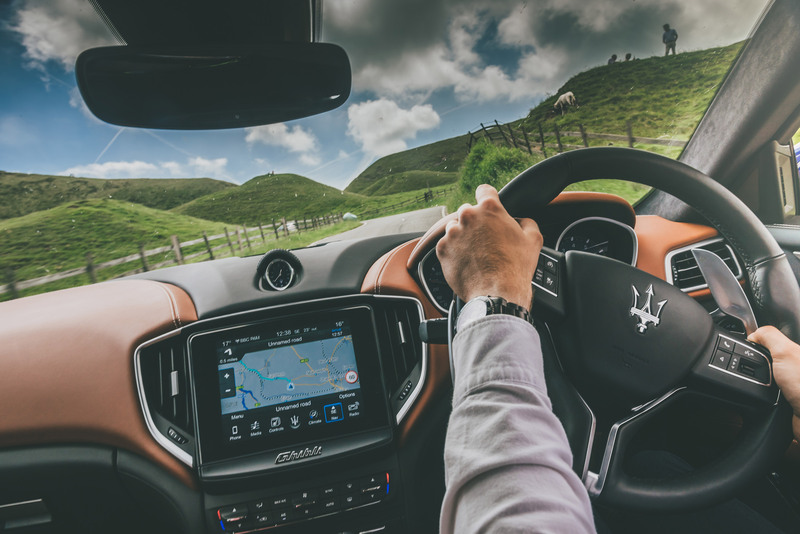 All pretty standard stuff across most modern performance cars but, for the Maserati, it helps to transform it through the Mam Tor switchbacks. The body roll felt through the Goyt Valley is almost entirely eradicated and, with a much keener response under my right foot, it’s easier to overcome the turbo lag and shoot out of each hairpin with real verve. With a standard limited-slip diff at the back, I can just feel the inside rear wheel starting to spin up too, helping to push the back end round the two tighter hairpins at the top of the climb. 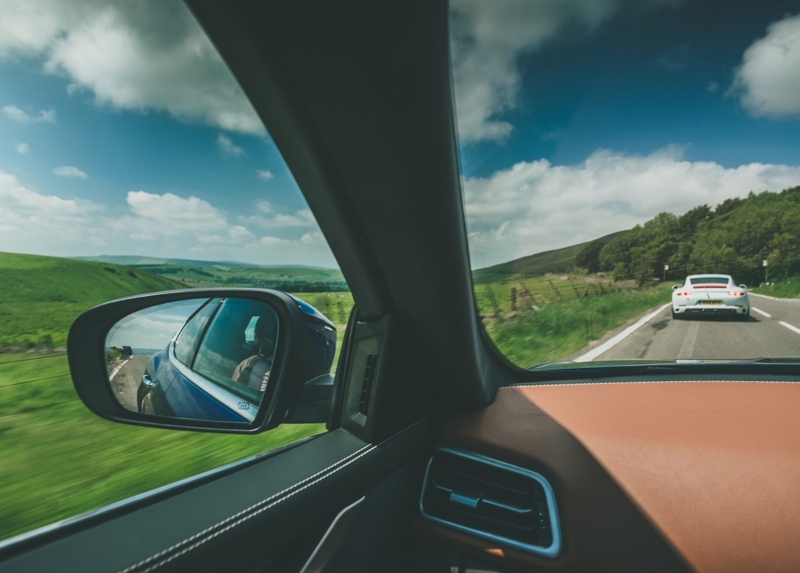 It’s superb fun and up here, where gravity helps to aid the Brembo brakes (which sometimes feel a little underwhelming), it’s easy to forget you’re in car capable of carrying four fully-grown adults in complete comfort. Mam Tor ticked off, we roll down the Hope Valley via the breathtaking Winnats Pass. Narrow, kerb-lined and streaming with traffic, this is far from the perfect driver’s road yet it’s worth it for the feeling you get when the gorge first rolls into sight. 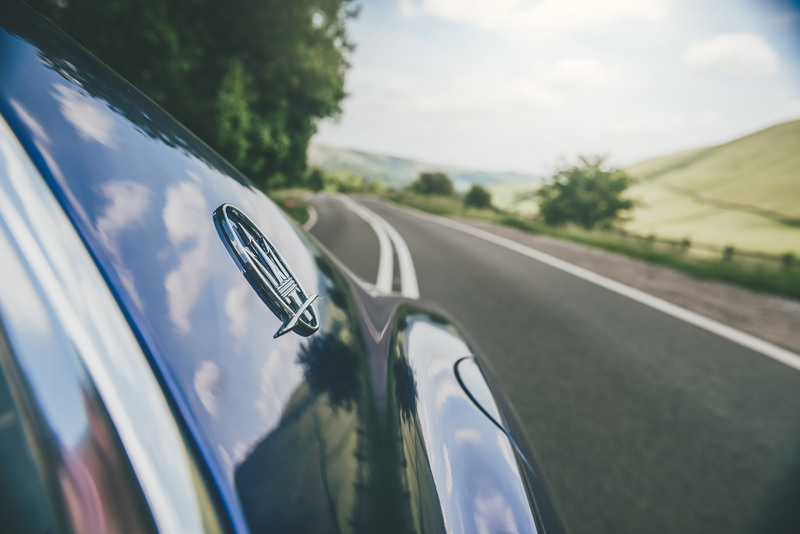 While the Ghibli may be feeling its size on the road, the landscape suddenly puts everything into perspective. Huge chunks of rock jut out of the grassy hillside, the sense of scale swamping everything. It’s actually quite humbling (as are the efforts of the cyclists heaving their way skywards). 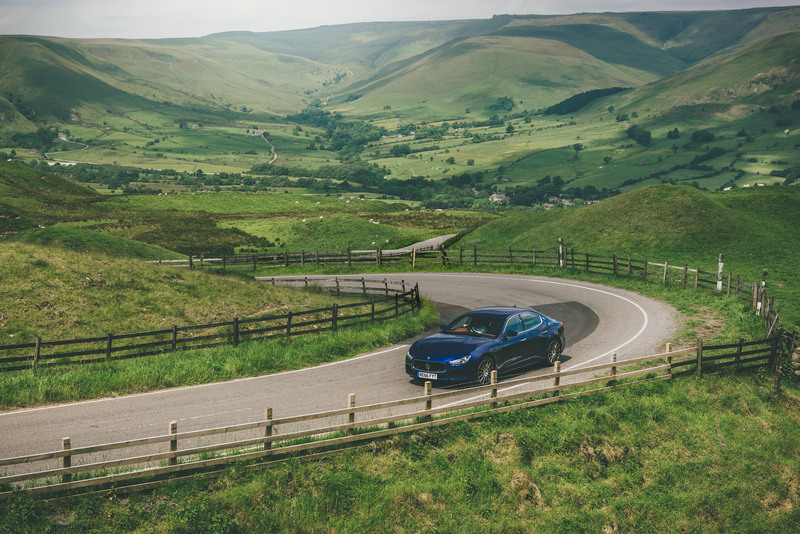 After a quick refuel at Hope Valley – the Ghibli is struggling to top 20mpg on these roads – we briefly head northwards on the A6013 before arriving at Ladybower Reservoir and the start of our next famous climb: Snake Pass. It’s a stretch of tarmac whose name is familiar with most UK petrolheads (especially those who prefer two wheels to four). Part of the old route between Sheffield and Manchester, ‘The Snake’ is infamous for people’s, erm, exuberant automotive antics. 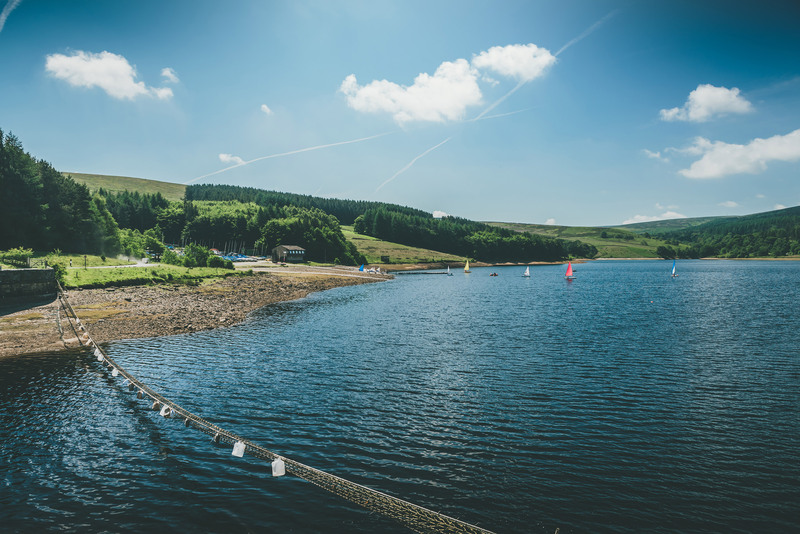 As a stupidly sunny Saturday (just after lunchtime no less), the pass should be teaming with traffic yet, as we clear the final, glistening edge of Ladybower, the road ahead is blissfully empty. I’d heard great things about Snake Pass but, having never driven it before, didn’t know whether it would live up to the hype. Within the first few miles however, any fears that it may be an anti-climax are allayed. Initially wooded after leaving the reservoir’s shores, the road has an alpine feel to it at the bottom, winding left-and-right through a blur of brown and green, oak trees and ferns zipping by the side windows. While it never feels like we’re climbing rapidly, the road bucks up and down, throwing in an array of cambers through each turn. 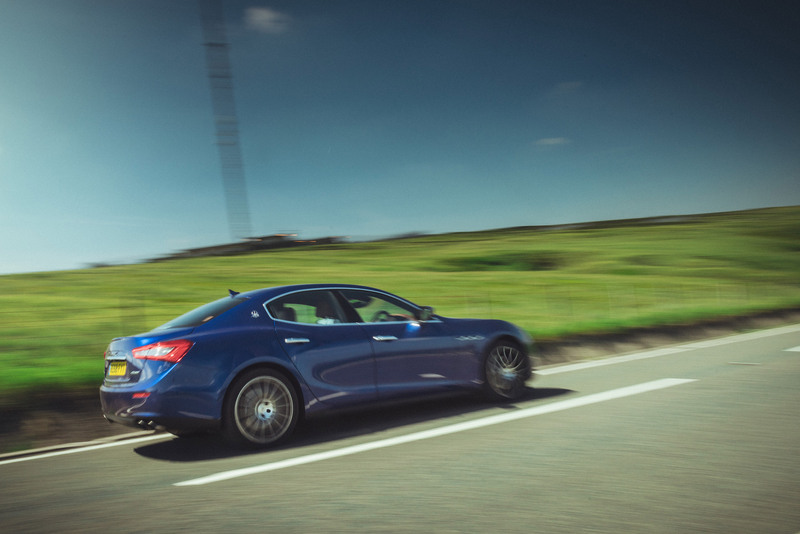 It’s the toughest test yet for the Ghibli but, in its most aggressive drive mode, it’s coping admirable. 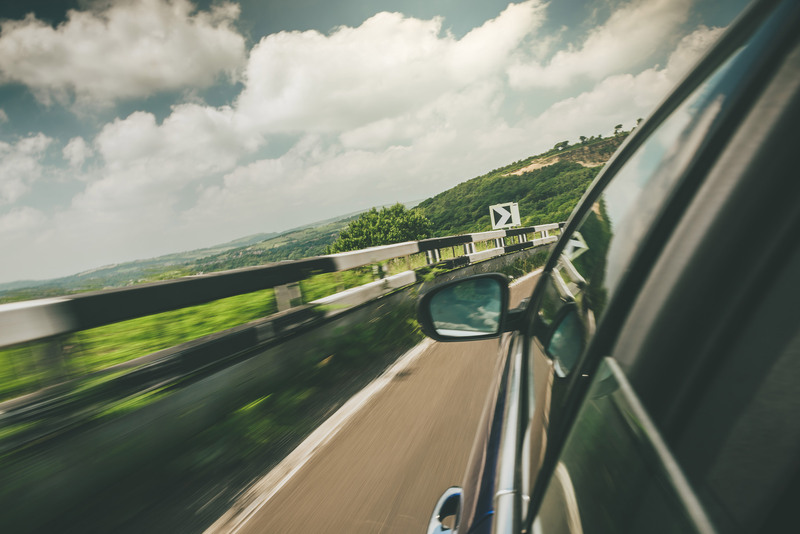 The road has everything, with plenty of smooth, fast sweeps interspersed with some heavy braking zones and tighter turns. For mile after mile, the large steering wheel is barely straight, and my feet are dancing between the two pedals with almost alarming alacrity. Out of the forest, the valley wall suddenly comes into view on our left and the road settles down for a few clicks of relatively sedate tarmac before the climb begins in earnest, first through another forest and then onto a rockier, more moor-like terrain. 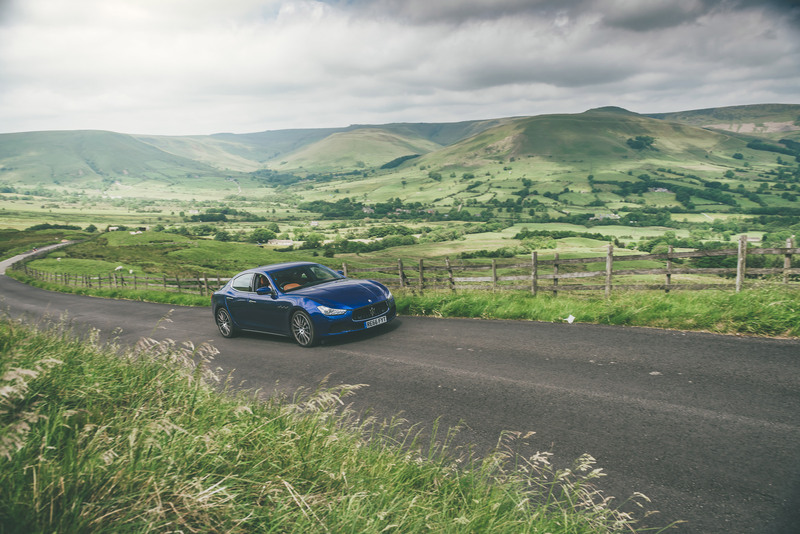 If the lower stretches of the Snake felt more like a rally stage, the road up here is more like an old-school race track: wide, smooth, flowing and bordered by an Armco barrier that should prevent us from a perilous drop into the Kinder Scout nature reserve. 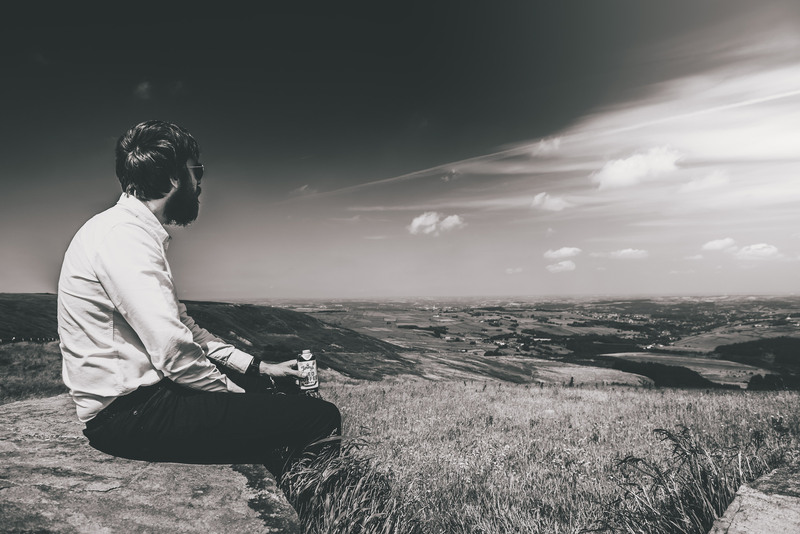 As we cross the summit, Glossop comes into view down in the valley basin but the Snake’s rollercoaster nature doesn’t relent until the very fringes of the town, where we briefly head outside the Peak District’s borders and are given a chance to catch our breath. Piloti’s range of driving shoes aren’t your usual geriatric pumps. 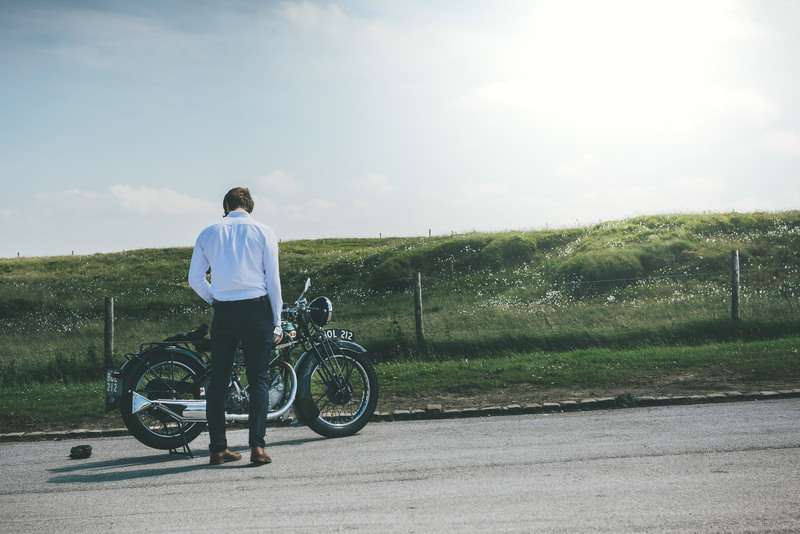 Yes, they do the classic loafer style your granddad was probably rocking in his Austin-Healey back in the Sixties but they also create genuinely cool pieces of footwear like the Pistone. Not as try-hard as some modern driving shoes, the Piloti Pistone blends a narrow toe (perfect for tight pedal boxes) with a street-smart aesthetic. We’ve probably done as many miles on foot in our Pistones as we have behind the wheel. Okay, so that’s maybe a bit of an exaggeration but these are driving shoes that genuinely look great day-to-day. The soft leather uppers (available in charcoal, rust or red colourways) are paired with a tyre-treaded rubber sole for perfect grip on your chosen chariot’s pedals. 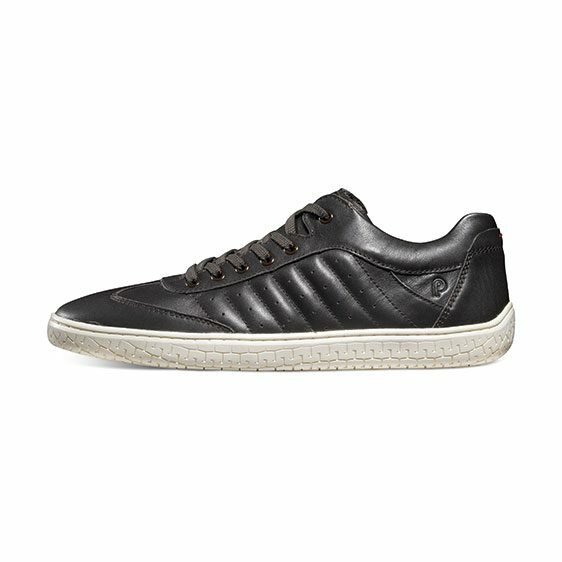 They also come with Piloti’s trademark rounded heel, providing perfect control on those all important heel-and-toe downshifts. Being Italian they do come up a bit on the small side though, so make sure you order half a size larger than your regular kicks. 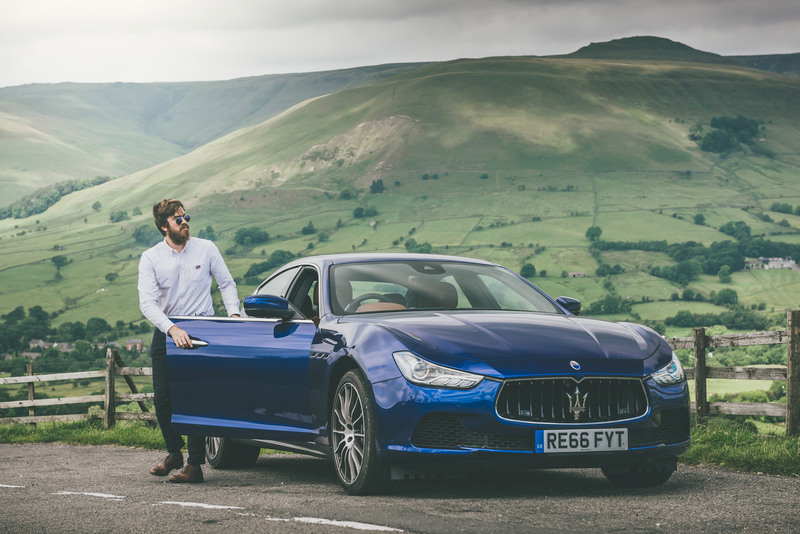 The Maserati Ghibli S and I are now getting along swimmingly as we cruise north on the B6105, skirting the edge of yet another pair of reservoirs (the Peak District is known for its natural springs and bottled water). The crossing point between Torside and Woodhead marks the start of our day’s final climb (or at least one side of it) as we begin the ascent up the southern slope of Holme Moss, perhaps the most famous cycling challenge in the Peaks. 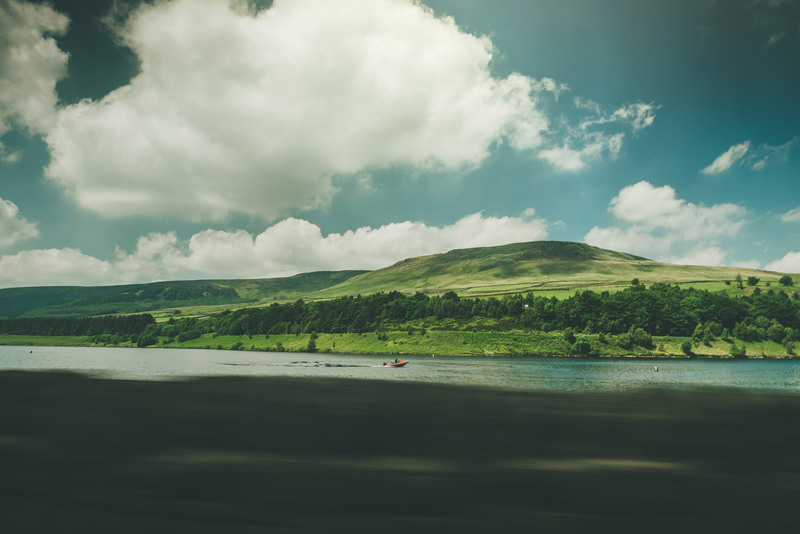 Often used in the Tour of Britain, Holme Moss’ place in the pantheon of great British climbs came on stage two of the 2014 Tour de France when ‘le peleton’ passed through on its way to Sheffield. From the south, the incline is steep but bereft of any really challenging curves. However, climb from the town of Holme Firth on the northern side and you’ll get a more alpine experience, complete with messages of encouragement scrawled onto the bitumen surface. The road is wide and sweeping in places with a brace of relatively quick hairpins about two-thirds of the way up. From the exit of the second hairpin, the road straightens out for a stretch before the final rise up to the Mont Ventoux-esque summit, complete with a 748-foot radio transmitting mast. 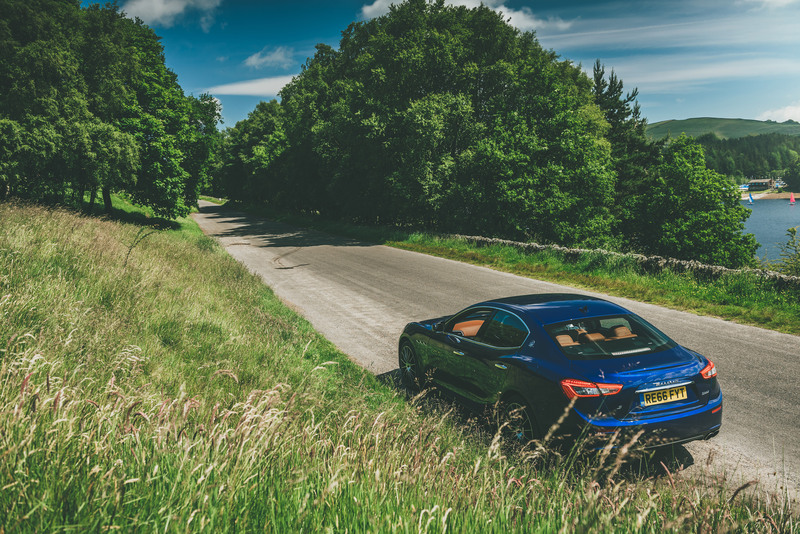 Like Snake Pass, the Ghibli is in its element up here, provided with enough space to really stretch its legs. The rev counter’s needle sweeps to the redline again as we sprint towards the horizon. 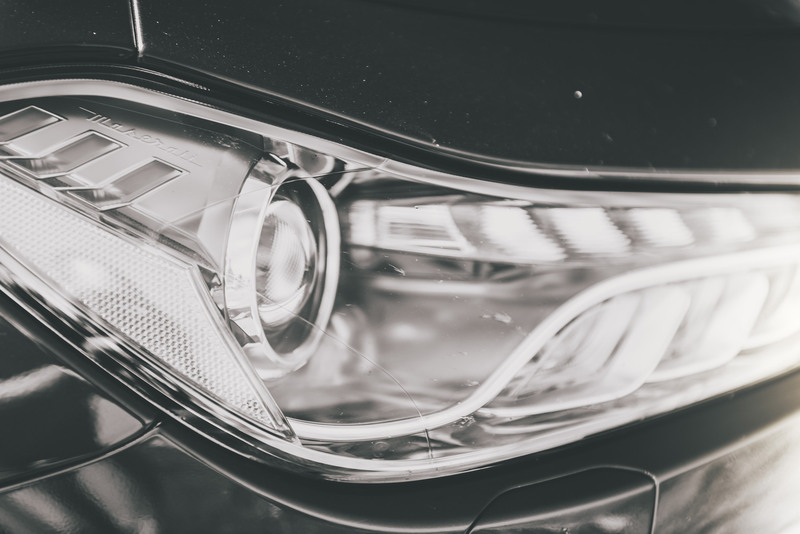 The V6 once more crescendoes with a snarl and gruff pop from the exhaust as each pull of the weighty, metal shift levers attached to the column sees cogs swapped with impressive speed. With the sun glinting off the metallic blue paintwork and the mechanical chorus blasting across one of the highest points in the northern Peak District, we’ve brought a large dose of Italian flair to this mini mountain’s slopes. Like the landscape, it’s pure theatre and proof that we don’t have to stray too far from our own shores for an unforgettable road trip.